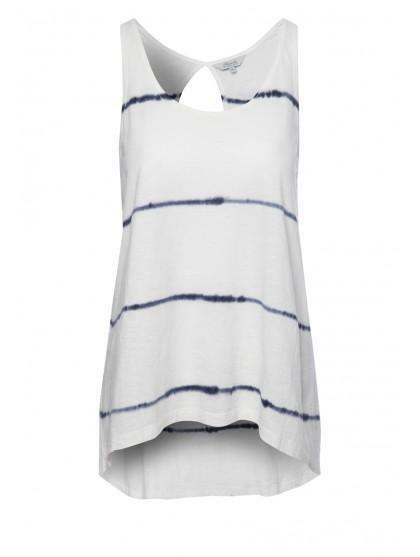 Channel the tie-dye trend with this loose fitting vest featuring a horizontal striped contract tie-dye design. 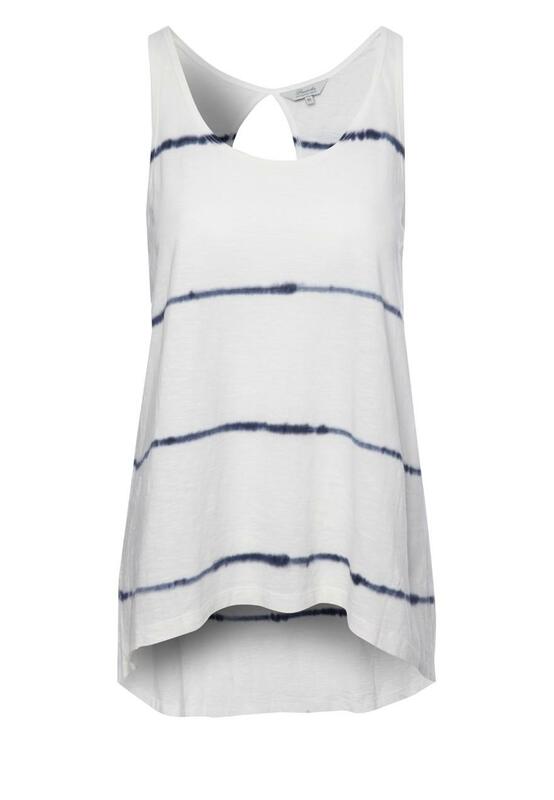 With a deep scoop neck and a large reverse keyhole detail this has festival fashion written all over it. Grab your denim cut-off's and your wellington boots and get ready to rock.